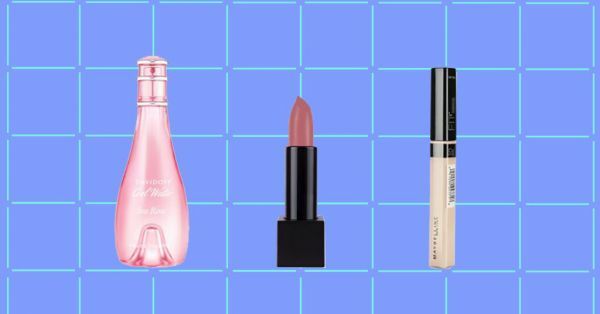 Working Girls, THESE Are The Beauty Items You Need At Your Desk! The struggles of waking up in time for office and getting ready are real, but don’t let those early morning blues show on your face. Since we do spend most of our waking hours in the office, why not slay while we work hard? It's important to keep a small stash of beauty essentials in your office desk. They're going to be very handy for quick touch ups before impromptu meetings and unplanned evening cocktails. In an effort to help you look and feel your best at all times here are 15 beauty essentials you need to have in your desk. Let's be real, most of us don't have time to incorporate a foundation into our daily beauty routine. It's best to store a foundation in your desk for those random plans and business meetings so you can have your best face forward. The Studio fix fluid foundation by M.A.C is long wearing and gives you a medium to full coverage with a matte finish making it ideal for long work hours. A small dab of concealer goes a long way in your office beauty routine. A smidge of concealer is enough to make you look well rested and fresh. The Fit Me Concealer from maybelline is perfect to throw into your work desk, lightweight and longwearing. It’s great to cover up any imperfections on the go, even if you don’t have the time to apply a full face of foundation. For a quick mid day touch up or everyday glam, the L'Oreal Paris Infallible 24H Powder Foundation offers a medium coverage without looking too cakey. Layer it on top of your foundation for even more coverage or wear it alone. This definitely is one of the most important beauty essentials in your office stash. Indian women and kajal are synonymous! The Lakme Absolute Kajal is hands down the best most long lasting kajal out there. It is the best tool to give your eyes some instant glam. Psst! You can also use this to create an easy smokey eye for those post work parties. This Maybelline mascara adds instant oomph to your lashes. Giving you long luscious and curly lashes with a deep black color! A generous coat of this drugstore mascara will add instant drama to your eyes. A long lasting blush will add that flush of color back to your face on days where you look pale. These HD blushes from NYX are available in a number of shades making it easy to find one perfect for your skin. This fluffy powder brush from Faces can be used to apply your compact, blush and highlight. It's super easy to clean too, just rub it on a baby wipe and let it air dry, you're good to go again for the next time. Don't forget to wash your brush once a week though. Let's face it, our Indian climates aren’t really favourable when it comes to staying fresh all day, especially while travelling. This long lasting deodorant from Nivea will ensure that the BO is at bay. If you want to go one step ahead of the deodorant routine, keep a travel sized perfume in your stash to ensure you are smelling fabulous all day! The Davidoff Sea Rose fragrance is subtle, elegant and light enough to be worn daily at work. Untidy hair is a major corporate NO-NO! Tame that unruly mane with this sleek and compact hair brush, perfect to throw into your office beauty stash. Keep your hair well groomed to ensure you look your best at all times. A travel sized bottle of dry shampoo doubles up as hairspray. Give your hair some texture and volume and hide oily roots with this multitasking product from Batiste. Nobody needs to know that you haven't washed your hair in 3 days! Keep some rubber bands and bobby pins handy for days when your hair is too unruly to be tamed. Put your hair up into a tight pony and pin away any loose ends and you're good to go. This is a magical multi-tasking product you absolutely MUST have! Johnson’s Baby wipes can help you quickly freshen up, take off or correct any makeup mistakes, and moisturize dry skin. We often neglect our hands the most. The skin on your hands is the most vulnerable because of frequent washing and sanitizing. Keep those hands well moisturized with this super cute hand cream from The Face Shop. Bonus points for doubling up as a cute desk accessory. Hello, baby soft hands! These are all our absolute favorites we believe every working beauty needs to stash in her desk! Never have a dull day again!